ICRTC-18 will be a perfect platform for students of post graduate and undergraduate levels to express their innovative thoughts and unique research work at a global platform. ICRTC-18 will provide scopes to students to meet and interact with International Speakers and Scientists of National importance. Students can interact with session chairs related and working on relevant fields of their research. Students can publish their articles in reputed journals of International importance. Journals associated with ICRTC conference are published in UGC, Scopus and Academia. 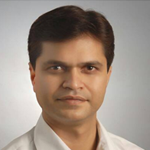 Articles presented at ICRTC-18 will be available for citation at reputed scientific repositories like science Direct, Research Pedia and Academic library. ICRTC-18 will create a bridge between Industrial professionals and Academic professionals which leads to exchanging of approaches and ideas about technological innovations. ICRTC-18 will provide a platform to Industrial professionals to exhibit their recent researchers which help to drive the global world. Industrial professionals can publish their articles in reputed journals of International importance. Journals associated with ICRTC conference are published in UGC, Scopus and Academia. 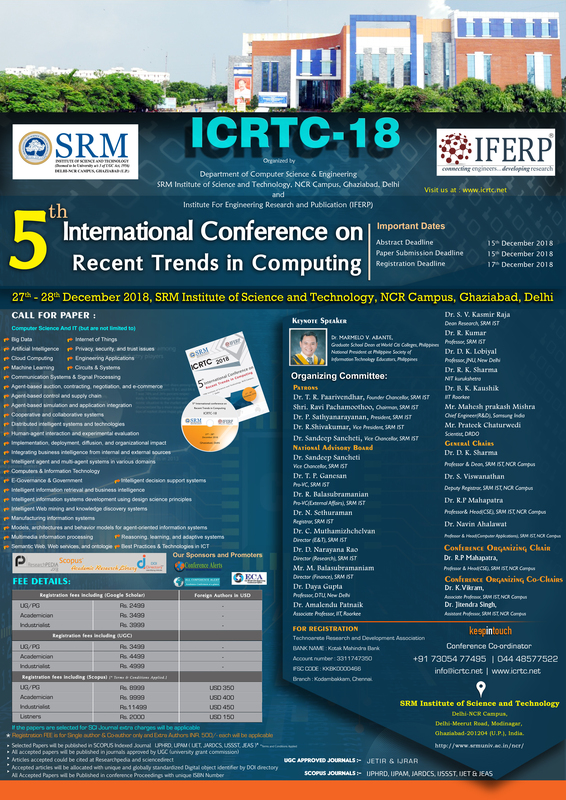 ICRTC-18 will be a perfect platform for Faculties, Professors, academicians to express their innovative thoughts and unique research work at a global platform. ICRTC-18 will provide scopes to faculties to meet and interact with International Speakers and Scientists of National importance. Professors can interact with session chairs related and working on relevant fields of their research. Faculties can publish their articles in reputed journals of International importance. Journals associated with ICRTC conference are published in UGC, Scopus and Academia. Copyright © 2018 ICRTC. All rights reserved.